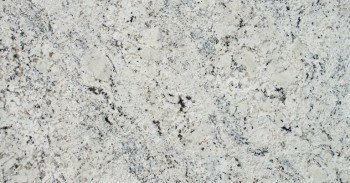 Aurora Stone is one of the leading stone suppliers Perth residents and business owners have been trusting since 2001. We combine the finest technology and the exceptional skills and talents of our stonemasons to offer our clients the highest-quality products and services. This has led us to become the largest stone production company in Western Australia. We believe that while manufactured stone may have advanced much in terms of popularity over the years, nothing truly beats the benefits that come from real stone. From sheer beauty to value and cost-effectiveness, natural stone brings outstanding qualities to the table, that have been highly regarded by various civilisations across centuries and even millennia. These are the qualities that catch the eye of our clients and impel them to invest in our products, which provide them with long lasting satisfaction. We have worked on some of the largest projects in Perth, providing a great array of products and services depending on our clients’ requirements. From apartments to high-rise buildings, the solutions we deliver have provided much value to our clients and their own customers or stakeholders. Our projects have covered both external and interior solutions. Whether it’s cladding, installing walls and kitchen surfaces, or turning grand visions into beautiful reality, we take great pride in possessing the top materials, technology and manpower to provide our clients with what they want to see. As the largest stone suppliers in Perth, we are committed to providing our clients with only the highest degree of quality, whether it’s in the stone products we provide or the services we offer. We source our materials from only the most reputable suppliers to ensure that our clients receive first-rate solutions. Our stonemasons are highly trained and possess considerable experience in their craft. Time is of the essence in every project, therefore we aim to accomplish our client’s requirements promptly without any compromise on the results. Over the years, we’ve built a solid client base in Perth and across Western Australia. We attribute our staying power to the level of quality service and products we provide. Trust that when you’re searching for stone suppliers Perth residents can trust, Aurora Stone will always come out on top and ensure we stay true to our commitments. View a list of our projects here or contact us today to enquire about our products. Aurora Stone Perth’s leading stone supplier is one of the largest stone production companies in Western Australia. We offer measuring, drawing, cutting, polishing, delivery and installation services for manufactured stone products. Since 2001, Aurora Stone has invested significant resources in technology, the purchase of state of the art equipment and the recruitment of talented stonemasons, which serves as the backbone of our production and business growth. Viva Natural Stone specialise in wall cladding, mechanical fixings, dimension stone manufacture and installation, import of natural products, tiling services and waterproofing. As importers and manufacturers of marble, granite, travertine, sandstone, limestone and reconstituted stone, we are a well-established company that can accommodate all project sizes and budgets from private houses and multi-storey residential homes to large-scale commercial buildings.